From black holes to dark matter to gravitational waves, Greene dishes on some of the biggest questions in physics. 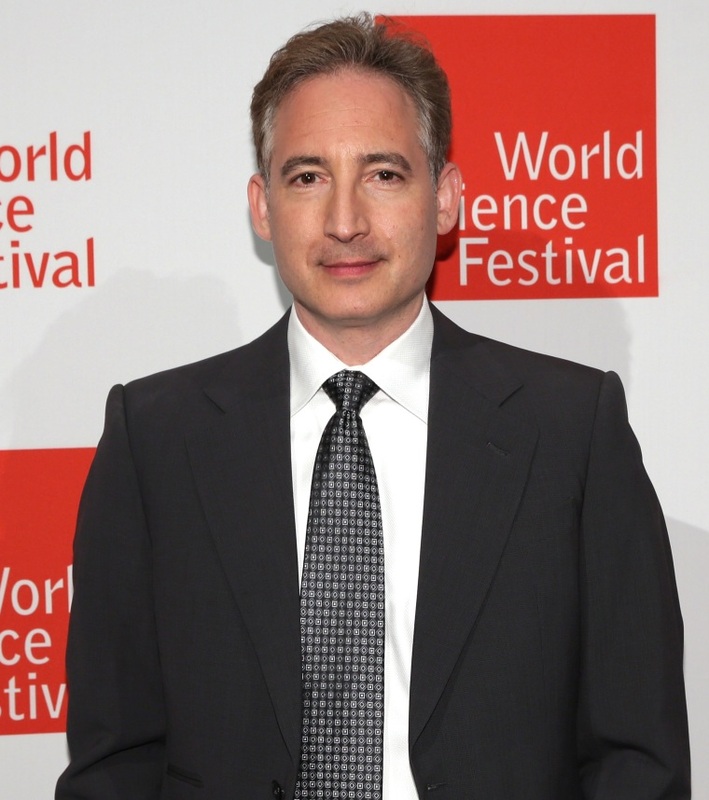 Brian Greene is a busy man. In addition to teaching at Columbia University in New York City, the theoretical physicist has written four books, starred in a handful of TV specials and along the way has become one of the world’s leading science communicators. Along with his wife, Tracy Day, Greene also spearheads the World Science Festival. The event, held in New York City each spring and now in its eleventh year, brings together top scientists and thought leaders to discuss the most intriguing questions and challenges facing humanity — from the structure of matter to the search for alien life. MACH’s Denise Chow recently spoke with Greene about black holes, the hunt for dark matter and the 2016 detection of gravitational waves, a discovery that he said “rocked the scientific world.” The interview has been edited for clarity and brevity. MACH: One of the biggest developments in science in the past two years was the detection of gravitational waves, ripples in space-time caused by the collision of two black holes 1.3 billion years ago. What were the implications of this discovery? Some people said we had entered a new era of astronomy. Is that a stretch? Greene: Sometimes people do wax a little overly enthusiastic about developments. But not in this case. This is something that really rocked the scientific world because for thousands of years the only way that we had any access to the universe was through light. And now, all of a sudden, through that one detection we've established that we have a whole new tool with which to probe and observe and examine the cosmos. So it's not hyperbolic. Is there anything on par with this paradigm shift that you could compare it to? Imagine you've gone through life without the ability to hear — you only look out on the world, so you experience reality in one particular way. But if all of a sudden you gained the sense of hearing, the way you know the world and engage with the world would become far more rich. And that's really what happened. We turned on the ability to hear the universe after only being able to see it. How did the gravitational wave finding change our understanding of black holes? First and foremost, it's the strongest evidence we have that black holes are real. They've been on the theoretician's blackboard since the early part of the 20th century, and there's been a lot of circumstantial evidence that they do exist. We had predictions of what the radiation would look like when two black holes collide. So we had the prediction in our textbooks and then LIGO [the Laser Interferometer Gravitational-Wave Observatory] detected the pattern of radiation — and it exactly matches what we have in the textbooks. It’s a beautiful confirmation that black holes are real. The other thing that has changed in our thinking about black holes is it wasn't clear to us that they came in pairs and if it was possible that you'd have black holes that would be doing a kind of duet in space — dancing around each other. This is something that the math allowed, but we didn't know if it ever really happened. Or if it did, perhaps it'd be extraordinarily rare. But now, through that detection of two black holes doing a duet and smashing into each other, and by subsequent observations of that time in the process, it's become clear to us that binaries — black hole pairs doing that dance — are a fairly commonplace configuration. And that's a surprise. What do you find most intriguing about black holes? My fascination with black holes is to understand the nature of space and time at the edge of a black hole, how quantum physics affects space and time. And that's something that we may be able to get insight into by looking at an extreme environment like the edge of a black hole. But even further, the dream is that one day we'll truly understand what happens deep inside a black hole. I mean, the edge is cool but the middle is crazy. The middle is where the mathematics of Einstein and quantum mechanics collide, and in that collision there are fireworks and the equations just fall apart. That's what we call a singularity, but a singularity is a euphemism for "we don't know what the heck is going on." And that's the most exciting thing because people speculated that deep inside a black hole might be where time itself ends. They speculated that that might be a gateway to another universe. Or it may be a place where new laws come into play that we've never even thought of yet. And that's the real wondrous puzzle of black holes. Dark matter is supposed to account for much of the stuff that makes up the universe. Are we any closer to understanding exactly what it is? I thought that we would have detected dark matter by now, and I think many colleagues agree. So it's more stubborn than we anticipated. And that could mean that we're barking up the wrong tree. Maybe the explanation is not some serious form of matter that we can't see. Maybe our understanding of gravity itself needs to be revised. That's a possibility. Or it could be that the dark matter is there. It's waiting for us to find and we just haven't yet done so. So I would say we're not closer than we were [several years ago] but we've certainly ruled out certain possibilities that were still on the table back then. Do you think we'll be able to understand why the universe exists the way it does — why the universe is made up almost entirely of matter, rather than a mix of matter and antimatter? The deep question is if matter and antimatter extinguish each other, and if you think equal amounts were produced at the Big Bang, why is there any matter left? And where did all the antimatter go? There are ideas for how you might solve that, but each of them involves some kind of exotic physics. But it's wonderful that we do have rigorous testable ideas on the table. Will we one day crack this? I believe that we will. There are two possibilities. Maybe there's a lot of antimatter out there that we've just not seen — sort of like dark matter in some sense. Or it could be that in the early universe, somehow a little imbalance between matter and antimatter crept in. And what happened is matter and antimatter annihilated but there's still a little bit of matter left over, and that may be us. We may be the leftover matter from a big annihilation of everything else. If you could pick three mysteries in physics that you'd want to see solved in your lifetime, what would those be? One of them would certainly be: How did the universe really begin? The next would be: What is time at a fundamental level? And for the third, I think I would leave physics. I would like to know: What is consciousness?